Deanna Strong is a professional real estate agent in Playa del Carmen, serving the surrounding areas of Mexico’s Riviera Maya for those looking for Mexico beach real estate. With more than a decade of real estate buying and selling experience in Playa del Carmen, Deanna has the knowledge you need to buy the home of your dreams with ease. Whether you are in search of beachfront real estate, a quaint house, condo or large home, Deanna has the resources to find what you are looking for. Fully licence to buy and sell real estate in Quintana Roo, Deanna Strong continues to be an active member of AMPI, La Asociación Mexicana de Profesionales Inmobiliarios (Mexican Association of Professional Real Estate Agents), which is mandatory throughout the country. Her active participation as a professionally licensed real estate agent in Mexico means she is up to date on the latest developments and real estate laws for Playa del Carmen and Riviera Maya. With extensive knowledge and hands-on experience, Deanna is your go-to person for a smooth, trouble-free real estate purchase. Deanna Strong is fluent in both English and Spanish and is always willing to work with you to find that dream beach front home, retirement condominium or budget house that you may decide to use as an investment property. Call Deanna Strong today for the best in licensed real estate agents for Playa del Carmen. We cannot thank Cheryl enough for helping my wife and I find a slice of the magic in Tulum. We are loving our time that we get to spend in Aldea Zama. They could not have made the process of purchasing in Mexico simpler from beginning to end and continue to help if we need anything. Cheryl even helped us find beds for our condo. We all bounced on every one in the store to find our favorite. You are the best! My husband and I just had the pleasure of purchasing a home in Playa del Carmen, MX and working with our agent, Deanna Strong! We were so very fortunate to have found Deanna to represent us. She was a total delight to work with and a true professional! Deanna worked tirelessly over 9 months to help us locate our home. She was always well organized and made our house hunting visits productive. She was always prepared and always went the extra mile to be sure that we saw everything within our "wish list". It was extremely helpful for us that she was able to communicate with Sellers and other agents by both English and Spanish. What most impressed us was that Deanna was so very honest, even when, perhaps it may not have been what we wanted to hear. Her high level of ethics are outstanding and I would highly recommend any Buyer or Seller to use Deanna to help them achieve their goal. Simply said, Deanna exceeded our expectations! "Our dream came true! Living 6 months in Mexico and 6 in Canada! Thanks to Deanna's perseverence and tennacity of not giving up on us and helping us find our holiday home! Combined with her skills of negotiating through the purchasing process everything went well"! Martha and Chris Kingston, Vancouver, Canada. 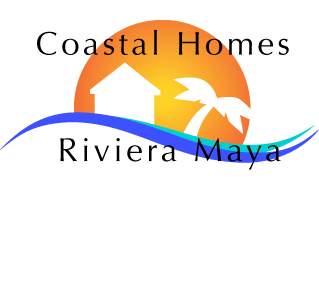 Cheryl has proved to be thorough, trustworthy, and very knowledgeable about the Maya Riviera real estate market. She knew the right people to deal with and safeguarded our interests in our real estate purchases every step of the way. The closings went quickly and smoothly due to her excellent contacts and preparation. What makes Cheryl so very special, however, is that she also always goes the extra mile. She spent countless hours researching hectares of land for us. She meticulously cleaned to ready or new condo because it had not been done to her high standards. She and her colleague helped us open local bank accounts and shop for necessary items. Her attention to detail separates her from the others. We have bought several properties over the years and never have we had such great service. We highly recommend her and know that you will come to appreciate her the way that we do. Buying real estate in Mexico is very different from buying in the US. Knowing this ahead of time will serve you well. Patience is the name of the game. Being represented by Cheryl, Deanna and Coastal Homes is a huge advantage. Cheryl has a thorough knowledge and extensive experience of the Riviera Maya region with strong connections in the business community. But you must be an active participant and take the time to do your due diligence. We recommend Coastal Homes without reservation. Purchasing property in a foreign country can certainly have some challenges as we've figured out! Unfortunately, it took working with an inexperienced sales person, missing out on 3 properties we were interested in and losing some substantial money, before we met Cheryl. Cheryl's experience, expertise and advice assisted us in not only finding our dream home in the Mayan Riviera, but she also achieved what so many real estate agents fail to do...managed the entire transaction from beginning to end, answering all our questions along the way hence providing us with a smooth process from the offer to move in day. I wish we met her first! For those thinking of investing in a piece of paradise, know it comes with some challenges, but those challenges are easily managed if you have Cheryl working for you. Thanks Cheryl, for all you did and continue to do....our dream of owning a Mayan casa was finally made possible thanks to you! This is THE Real Estate Agent who you want to represent YOU! She did an outstanding job finding a great property for my wife and me and was tireless in her search. Her approach was very professional and with desire to find the proper fit for us. She went beyond the call for duty, not only in her research, but to make sure we were being represented in every detail on our home purchase. Her valuable help was appreciated on things like coordinating our purchase of new window treatments fabrics to overseeing the installation, as we live in the USA. She was a great help in making sure we had Internet service, finding an administer to manage our property and to make sure everything was in order. She truly did an outstanding job for us. If you are looking for someone who is honest, hard working, dependable and very knowledgeable about the properties in and around Playa & the Riviera Maya, then you should definitely use Deanna. The relationship between a home buyer or seller and their agent is based on trust, shared goals and understanding. I strive to continually improve and to do this I listen and take your needs and wants into consideration.